Is there a different flag that needs to be used to get multiple cards running at the same time with the cuda version? I fixed it by moving -t 2 to the end of the command in the batch file. Not sure why that matters but apparently it does. I suddenly get only a fraction of the original hashrate.. Deleteing the DAG files or different settings have zero effect. Using nvidia. still underperforming on 750ti any fix? maybe compiled with cuda 6.5 would help out the 750ti? Have you tried running the GTX 750 Ti with the OpenCL mode of the ethminer to see if there will be some difference in performance? The 750 Ti has the exact same hashrate in OpenCL mode as it has with Cuda. Which is why I think for some reason the miner started to run in OpenCL mode from all of a sudden. Can someone post how many W is used by those cards mining eth? Is the GPU fully loaded like scrypt, and drawing max TDP? @zex great find. I’m not sure if it affects the 280x but as long as a 280x hashes with a 290x there has to be room for improvement with a 290x either in configuration settings or the algo. Plus my 290x barely break a sweat compared to whirlpoolx, for example. Ethereum is currently not too power hungry, it uses about 60-70% TDP of the card. 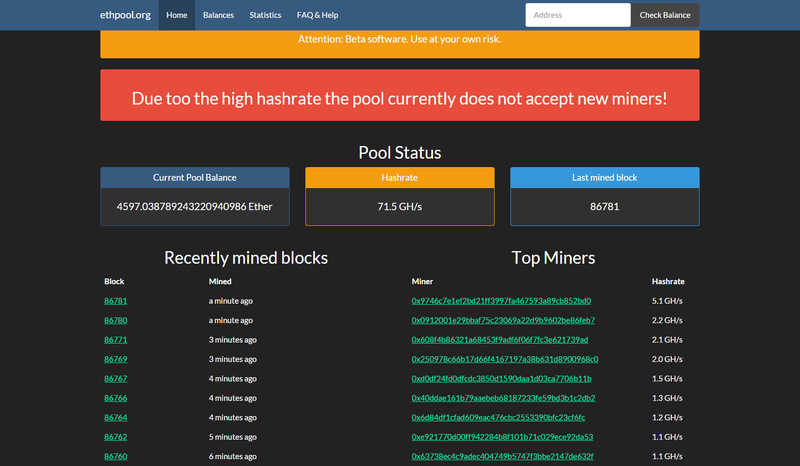 This means that there should be a room for improvement thus an increase in hashrate is most likely possible. This is also the reason why the performance of 290X is not much faster than that of 280X as well as GTX 970, 980 and 980 Ti are very close in performance as well. Kraken had initially followed the same path for addresses, but they came to their senses and switched to Hex addresses to make everything easier for users… and not tell them to get (compile it) the latest dev version that may not be as stable and have other issues just to be able to deposit coins to an exchange. We have posted the latest 0.9.40 dev ethminer (opencl) that does not have issues compiling under Windows, the cuda version is older. If you are having trouble connecting to ethpool it is probably because they have stopped accepting new miners (new wallet addresses) a few days ago.